Serra Automotive, headquartered in Michigan, is a sprawling network of automotive dealerships and franchises throughout the United States. 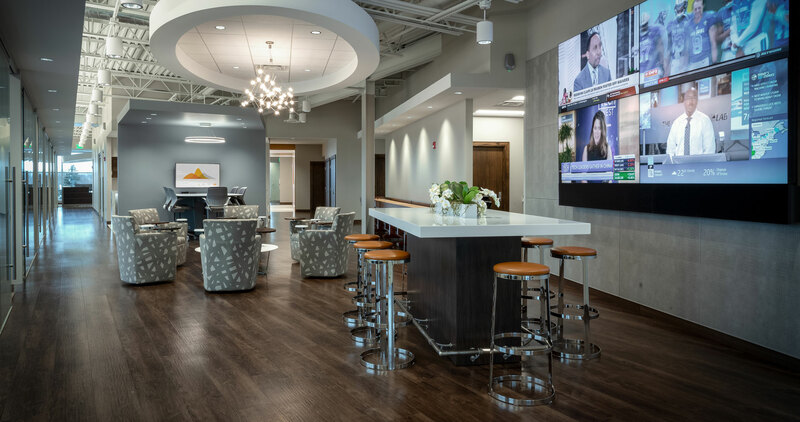 When Serra Automotive decided it was time to move in to a new building, they hired NBS to design a workspace perfectly tailored to their executive team. 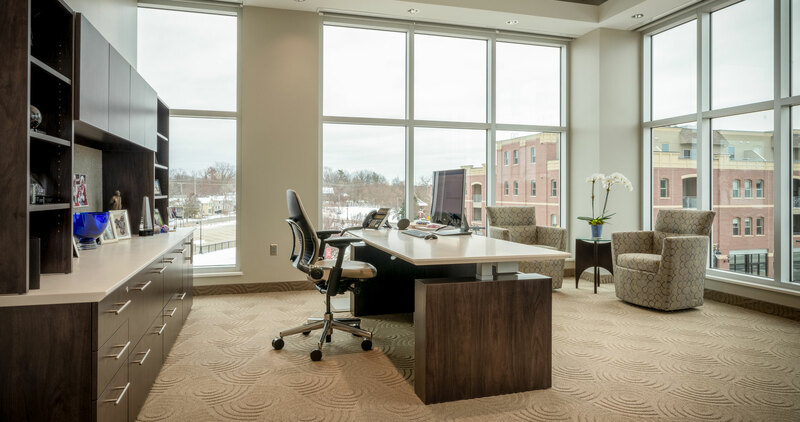 NBS worked closely with a trusted contractor and the executive team to transform their office into a professional environment that equally nurtures productivity and comfort. Serra Automotive’s new office looks and feels high end, yet still pleasantly surprises employees with playful elements. Glass and wood finishes blend together in the space for a sleek, sophisticated design. 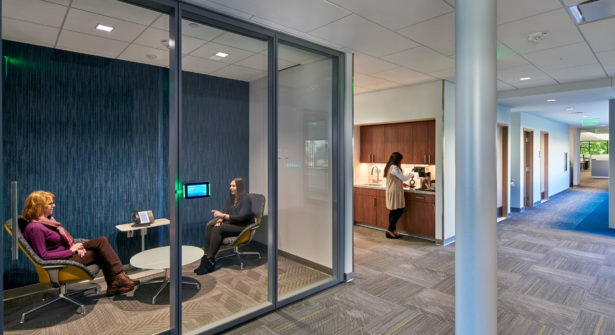 Throughout the office, NBS incorporated areas for employees to connect and unwind. 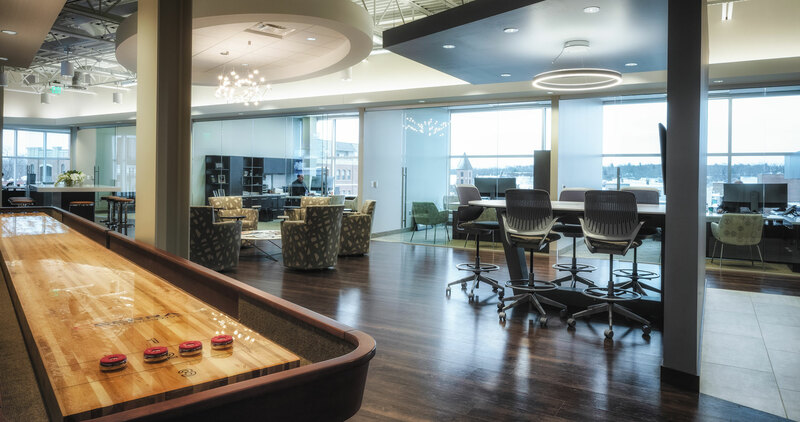 One of the stand-out pieces in the new lounge area is a functioning shuffleboard. 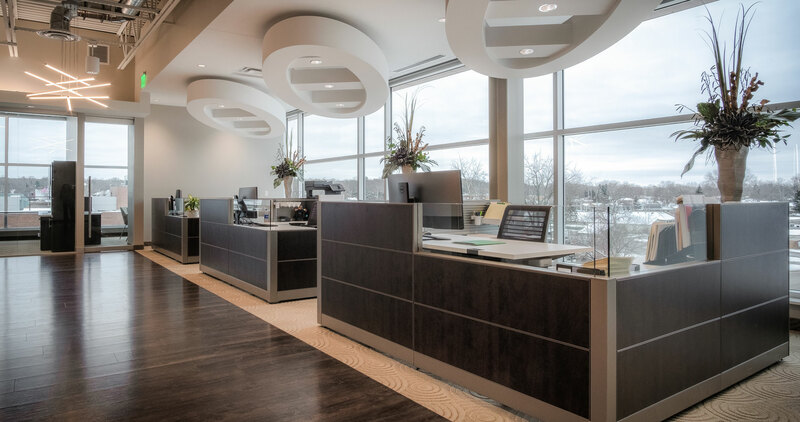 While it was important for the new design to be sleek and cohesive, it was essential that Serra Automotive’s employees had the opportunity to customize their space. 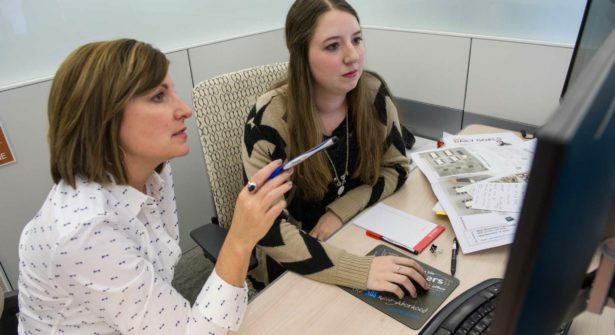 NBS conducted one-on-one interviews with each member from Serra Automotive’s executive team to learn what design elements were most essential in his or her private office. 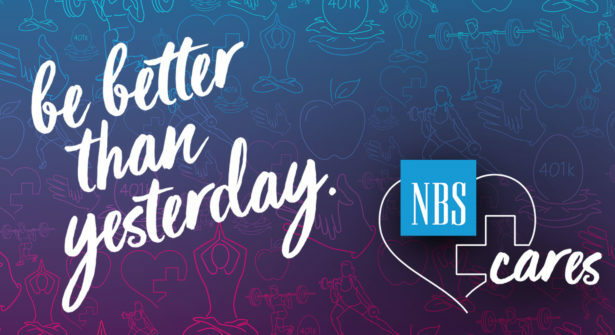 To help employees make the most informed decisions, NBS brought products for staff members to demo before choosing which furniture fit their needs. NBS fitted each private office with a solid surface height-adjustable desk. From furniture to storage options, each private office was given a unique look. The final design maintains the same finishes for continuity, but every layout is different and perfectly suited to the individual’s needs. 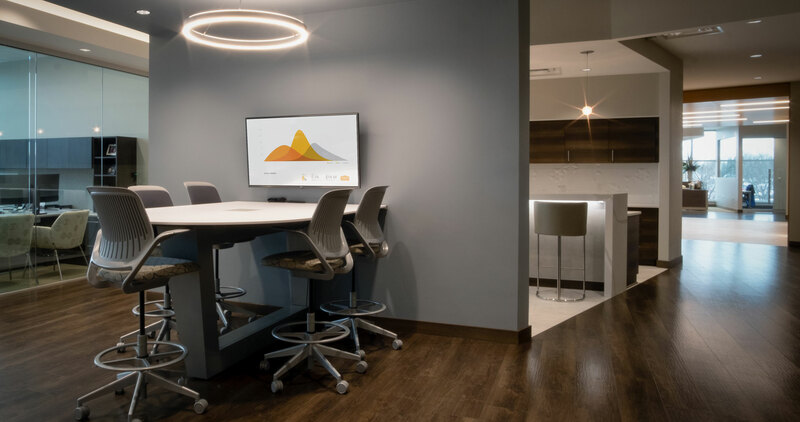 NBS took a thoughtful approach designing the private offices at Serra Automotive, and that same attention to detail carries through the collaborative spaces. 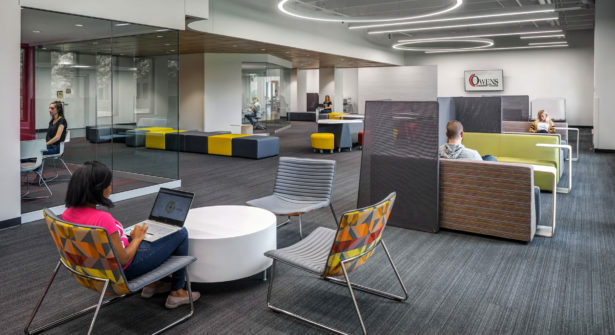 These spaces offer the same variety of postures for employees, with thoughtful designs that follow the flow of the architectural shape of the building. The lounge area features a custom high-top table next to a wall of monitors. Comfortable lounge furniture with tablet arms create a relaxed environment for team members to work together. 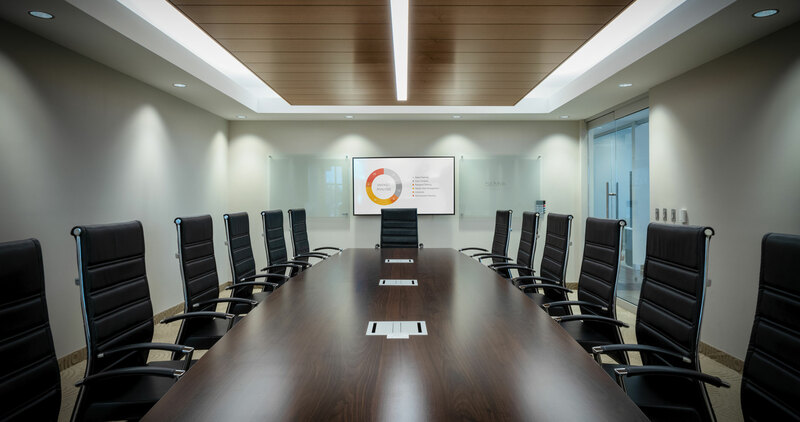 For formal meetings, NBS designed a conference room that can seat up to sixteen. Serra Automotive partnered with NBS and Johnson to deliver a design that equally fosters productivity and employee satisfaction. They were thrilled with the results. With their newly designed office, the Serra Automotive executive team feels right at home in their customized professional space. Custom table by Primeway, Inc.